EnviroPolitics Blog: Planning to buy property containing abandoned rail tracks? 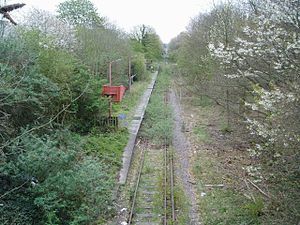 Planning to buy property containing abandoned rail tracks? On January 23, 2019, the New Jersey Appellate Division issued an unpublished decision in 212 Marin Boulevard, LLC, et al. v. Chicago Title Insurance Company and Consolidated Rail Corporation, concerning a party’s alleged misrepresentation about whether the conveyed embankment property was subject to the Surface Transportation Board’s (“STB”) abandonment authority. The STB is the federal agency established to oversee rate and service disputes for railways, as well as railway restructuring transactions, including the abandonment of rail lines. Presumptively, any abandonment of rail lines by an entity regulated by the STB requires STB approval, unless excepted under federal statute. The seller, Consolidated Rail Corporation (“Conrail”), represented to Chicago Title Insurance Company (“Chicago Title”) that STB abandonment was not required, and Chicago Title, in apparent reliance on this statement, issued policies for the conveyed parcels when the purchaser closed on the property. Even so, the Appellate Division rejected Chicago Title’s third-party complaint against Conrail for negligent misrepresentation. The decision should remind real estate developers to be wary of properties containing railroad lines, whether in use or not, particularly if they are still owned by a railroad company. Developers purchasing these types of properties should undertake an extra level of analysis and due diligence to ensure any abandonment issues regarding the railroad lines do not hinder the planned project.